It’s been a few weeks since I’ve updated the blog. Things have been busy around these parts! I assure you updates will become much more frequent as the 2011 season truly kicks off in my book next weekend. The North Carolina archery opener is Sept. 10. I’m especially excited about the North Carolina season for a few reasons. First, four friends and I have acquired a new 270-acre lease that is a couple years of tender, love and care from being pretty sporty. We’re not anticipating a lot, with respect to big bucks, this year. That said, there are several young deer that seem to be finding their way on the property regularly. 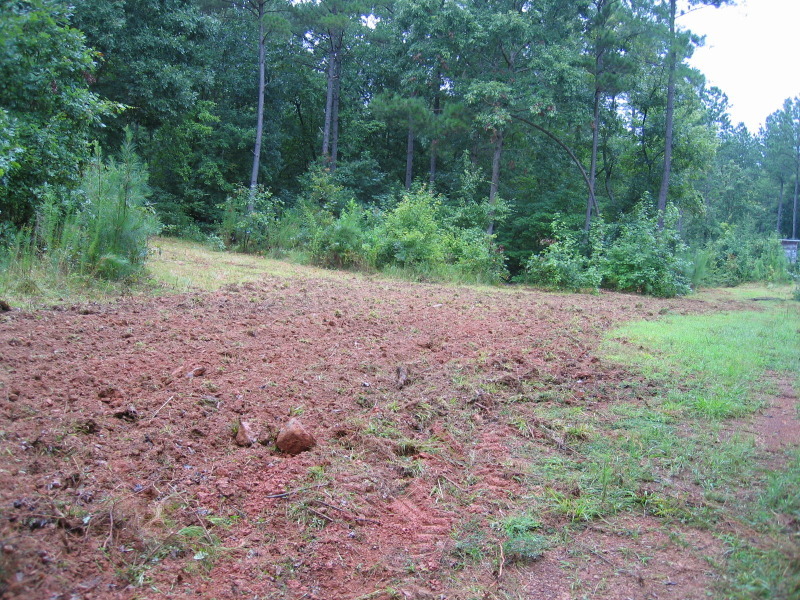 While we gained control to the land a little late in the summer, we did get after it quick enough to get four food plots planted and do enough scouting to find several “deery” spots on the grounds. It seems like the land gets a little better every time we walk more ground. Best of all, we’re all good hunting buddies who are looking for the same things out of the land (more than just a place to kill a deer). With our second child due late this year, I expect to hunt more in the state of North Carolina this year than I have in year’s passed. Although I have no midwest deer hunting trips planned for the first time in several years, my hunting buddy Kenny and I will be making the pilgrimage to my family’s farm in Western New York. I’m looking forward to that trip. I’ve not hunted our farm since 2009, and never anticipated going a hunting season without setting foot in the woods I hold so dear to my heart. Here’s hoping it doesn’t again. In just one month, I’ll be joining another hunting buddy, Richard as he takes his young son on his first out-of-state duck hunt to North Dakota. This will be my second trip to the great waterfowl state, but we’re hoping to make this trip all about Nate. We’re planning to be armed with more cameras than guns and document much of the trip for a few AHuntersTales.com episodes. My hunting gear is ready to roll. I’ve spent a lot of the summer retooling both of my bows for the season. With new strings and a few other accoutrements, both have been sighted in, and are shooting broadheads really well. There is only one new set of camo in the locker (already have too many!). The final bit of tune up came to my hearing! For the first time in a number of years, I’m hoping to take to the field this year (at some point this season) being able to hear well out of my right ear. I had my eardrum replaced and the ossicles bones better aligned yesterday and the surgeon reported after surgery that he’d be surprised if I didn’t have better hearing than before I had it. Be great to have my senses in better working order – I’m sick of the deer having such an advantage over me! Let’s roll – it’s time to get hunting! This entry was posted on Saturday, September 3rd, 2011 at 3:52 pm	and tagged with Bow hunting, Food Plot, North Carolina and posted in 2011, Day Afield, General Tales. You can follow any responses to this entry through the RSS 2.0 feed.